£20 UK ONLY orders; includes p/p. 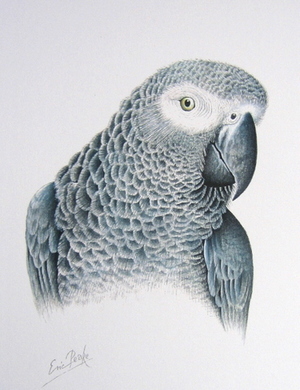 Artist Signed Print of an African Grey Parrot presented in a white 14" x 11" mount/mat. 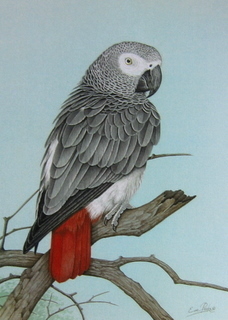 Artist Signed Print of an African Grey Parrot presented in a 14" x 11" mount/mat. 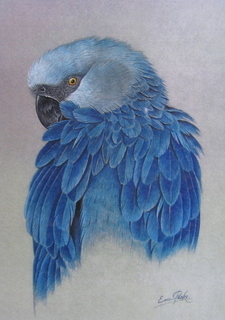 Artist Signed Print of a Blue-headed Macaw presented in a white 14" x 11" mount/mat. 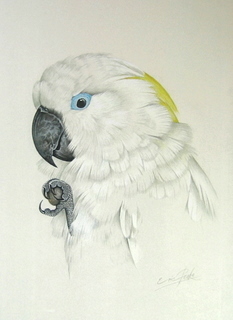 Artist Signed Print of a Blue-eyed Cockatoo presented in a white 14" x 11" mount/mat. 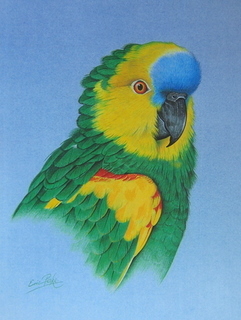 Artist Signed Print of a Blue-fronted Amazon presented in a white 14" x 11" mount/mat. 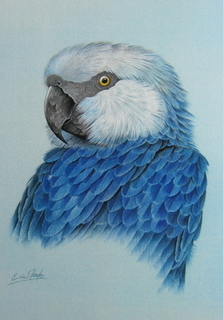 Artist Signed Print of a Blue-throated Macaw presented in a white 14" x 11" mount/mat. 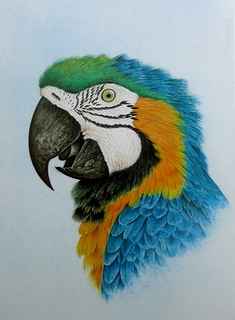 Artist Signed Print of a Buffon's Macaw presented in a white 14" x 11" mount/mat. 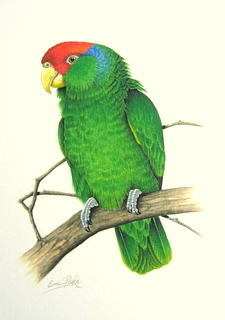 REST OF WORLD orders; pleases email: birdart@ericpeake.co.uk for payment details & shipping costs. 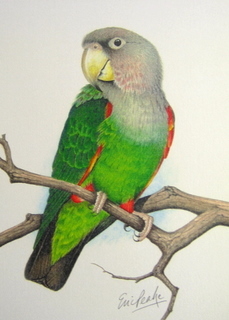 Artist Signed Print of a Cape Parrot presented in a white 14" x 11" mount/mat. 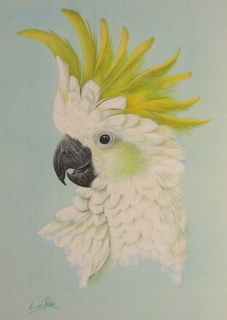 Artist Signed Print of a Citron-crested Cockatoo presented in a white 14" x 11" mount/mat. 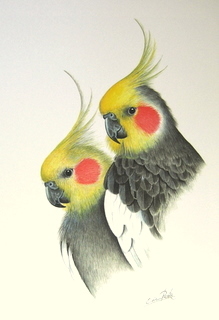 Artist Signed Print of Normal Cockatiels presented in a white 14" x 11" mount/mat. 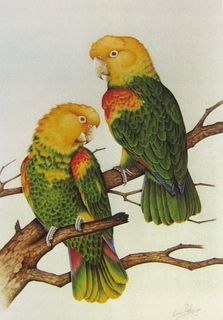 Artist Signed Print of Double Yellow-headed Amazons presented in a white 14" x 11" mount/mat. 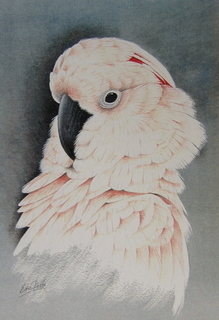 Artist Signed Print of a Goffin's Cockatoo presented in a white 14" x 11" mount/mat. 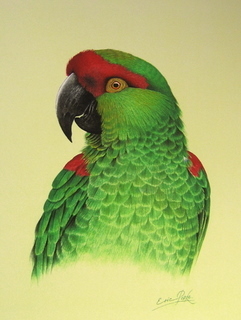 Artist Signed Print of a Green-cheeked Amazon presented in a white 14" x 11" mount/mat. 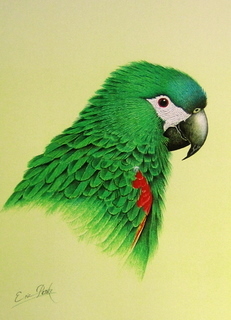 Artist Signed Print of a Hahn's Macaw presented in a white 14" x 11" mount/mat. 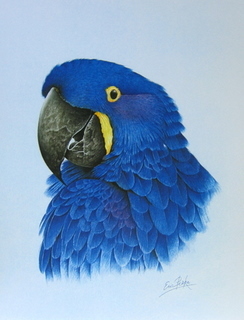 Artist Signed Print of a Hyacinth Macaw presented in a white 14" x 11" mount/mat. 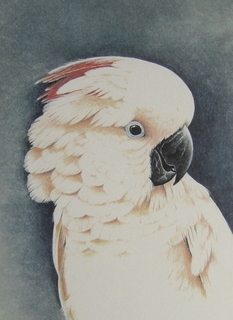 Artist Signed Print of a Lesser Sulphur-crested Cockatoo presented in a white 14" x 11" mount/mat. 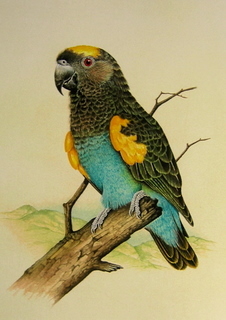 Artist Signed Print of a Meyer's Parrot presented in a white 14" x 11" mount/mat. 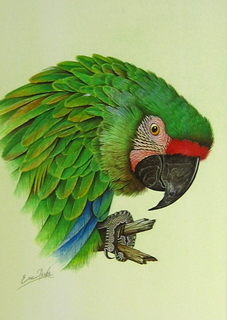 Artist Signed Print of a Military Macaw presented in a white 14" x 11" mount/mat. 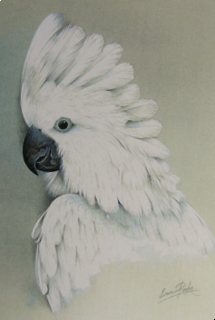 Artist Signed Print of a Moluccan Cockatoo presented in a white 14" x 11" mount/mat. 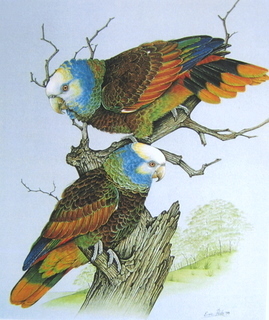 Artist Signed Print of a Palm Cockatoo presented in a white 14" x 11" mount/mat. 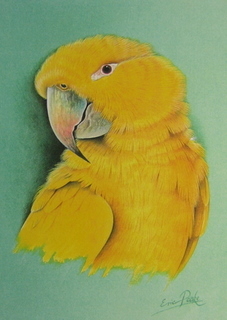 Artist Signed Print of a Golden Conure presented in a white 14" x 11" mount/mat. 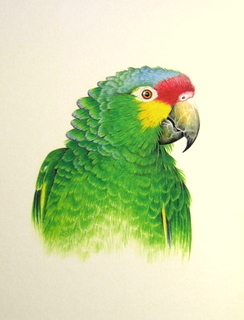 Artist Signed Print of a Red-fronted Macaw presented in a white 14" x 11" mount/mat. 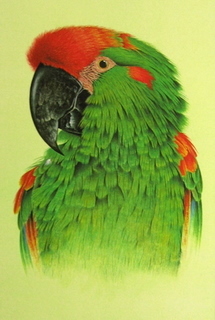 Artist Signed Print of a Red lored Amazon presented in a white 14" x 11" mount/mat. 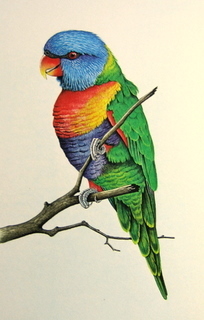 Artist Signed Print of a Rainbow Lorikeet presented in a white 14" x 11" mount/mat. 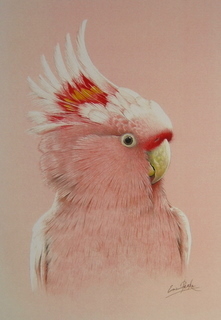 Artist Signed Print of a Rose Breasted Cockatoo presented in a white 14" x 11" mount/mat. 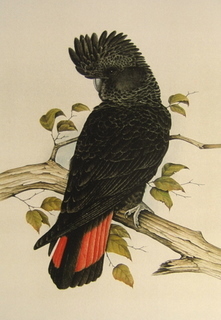 Artist Signed Print of a Red Tailed Black Cockatoo presented in a white 14" x 11" mount/mat. 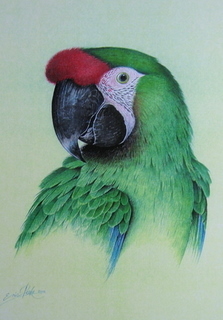 Artist Signed Print of a Scarlet Macaw presented in a white 14" x 11" mount/mat. 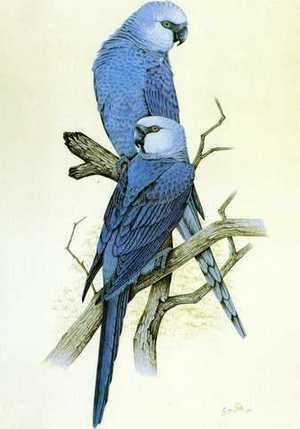 Arist Signed Print of a pair of Spixs Macaws presented in a white 14" x 11" mount/mat. 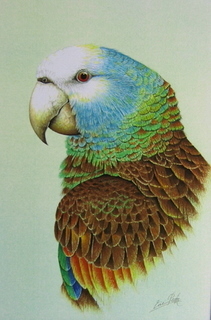 Artist Signed Print of a Spixs Macaw presented in a white 14" x 11" mount/mat. 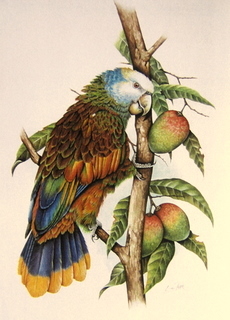 Artist Signed Print of a St Lucia Amazon presented in a white 14" x 11" mount/mat. 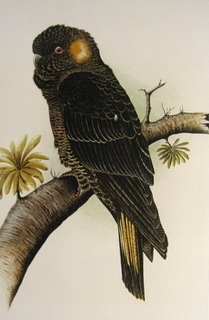 Artist Signed Print of a St Vincent Amazon in the wild presented in a white 14" x 11" mount/mat. Artist Signed Print of St Vincent Amazons presented in a white 14" x 11" mount/mat. 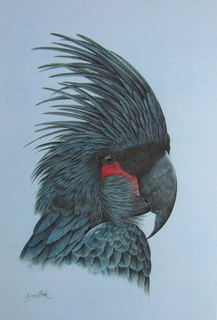 Artist Signed Print of a St Vincent Amazon presented in a white 14" x 11" mount/mat. 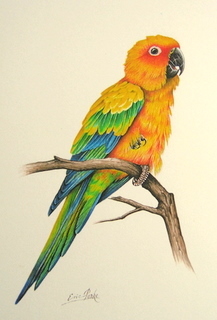 Artist Signed Print of a Sun Conure presented in a white 14" x 11" mount/mat. 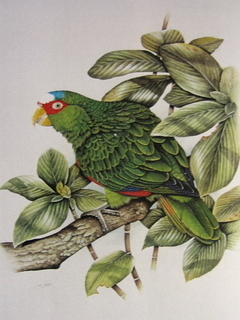 Artist Signed Print of a Thick Billed Parrot presented in a white 14" x 11" mount/mat. 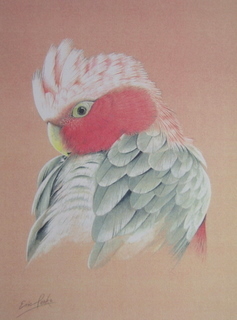 Artist Signed Print of an Umbrella Cockatoo presented in a white 14" x 11" mount/mat. 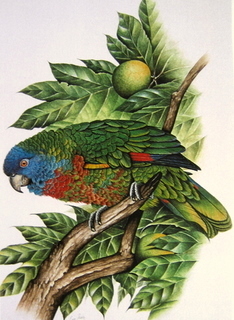 Artist Signed Print of a White Fronted Amazon presented in a white 14" x 11" mount/mat. 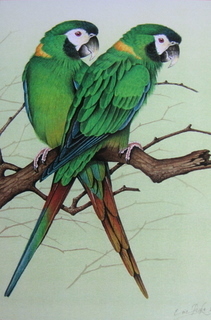 Artist Signed Print of Yellow Collared Macaws presented in a white 14" x 11" mount/mat. 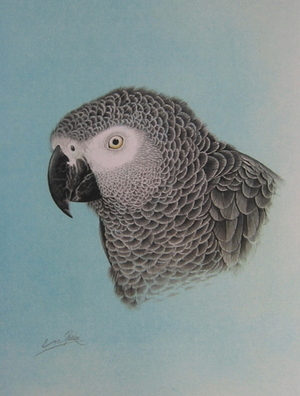 Artist Signed Print of a Yellow Tailed Black Cockatoo presented in a white 14" x 11" mount/mat. £20 UK ONLY order includes p/p. REST OF WORLD please email: birdart@ericpeake.co.uk for payment details & shipping costs. 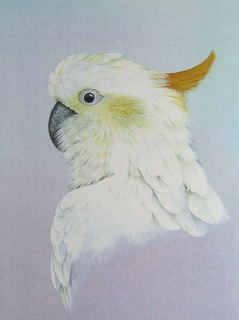 Artist Signed Print of a Major Mitchell's Cockatoo presented in an off white 14" x 11" mount/mat. 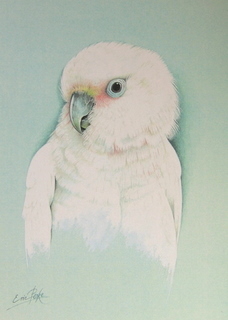 REST OF WORLD please email: birdart@ericpeake.co.uk for payment details and shipping costs. 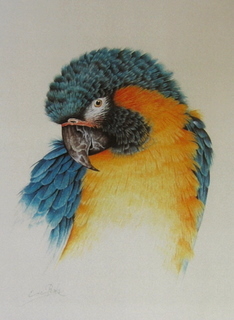 Artist Signed Print of a Blue & Gold Macaw presented in an off white 14" x 11" mount/mat. 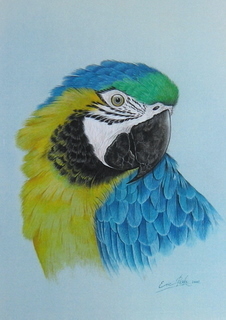 Artist Signed Print of a Blue and Gold Macaw presented in an off white 14" x 11" mount/mat.